Althorp Estate is committed to ensuring that your privacy is protected. Should we ask you to provide certain information by which you can be identified when using this website, then you can be assured that it will only be used in accordance with this privacy statement to perform obligations arising under any contracts entered into with Althorp through this website and/or to provide information, products or services which you, the user, has requested from us. Althorp Estate may change this policy from time to time by updating this page. You should check this page from time to time to ensure that you are happy with any changes. This policy is effective from 25thMay 2018. When you fill in your details online (or details of your family / friend) on our website to obtain a ticket or a gift ticket to Althorp Estate or to buy a product from Althorp Estate gift shop. When you fill in your details including your CV online through our website when you apply for a job at Althorp Estate. Your name and contact details including your CV online through our website when you apply for a job at Althorp Estate. Fulfilment of orders for goods and services. 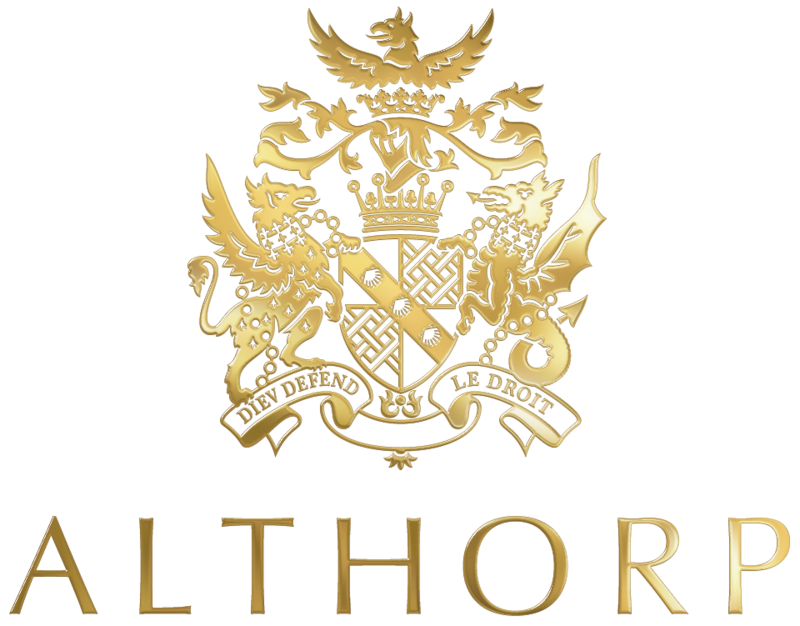 Telling you about promotional emails about new products, special offers or other information which we think you may find relevant and of interest to you from our subsidiary companies Althorp Enterprises LP or our partners at Althorp Estate. Where this is necessary for the performance of a contract with you. Where this is necessary for our legitimate interests. Where this is necessary for our legitimate interests, and where we send marketing communications by electronic means, where we have your consent to do so. Transaction notifications, such as payment receipts. We will not sell, distribute or lease your personal information to third parties other than set out below. When we allow such third parties access to your information, it will always be under strict assurances that they will only process your data for the purposes for which it was originally collected. We hold your information only as long as necessary for each purpose we use it. For marketing purposes, it is our policy to retain your details for up to 2 years after the purchase of a visitors or event ticket, or when registering to receive our newsletter. After which time, your details will be stored (as detailed above) but no longer processed. You have the right to ask us, in writing, for a copy of all the personal data held about you (this is known as a Subject Access Request). A copy will be sent to you as soon as possible and this will be no later than one month after your request. You have the right to require us to correct the personal data we hold on you if it is inaccurate. You have the right to request that we erase your personal data. You have the right to request that we restrict our data processing activities (and, where our processing is based on your consent, you may withdraw that consent at any time). You have the right to receive from us the personal data we hold about you which you have provided to us, in a reasonable format specified by you, including for the purpose of transmitting that personal data to another data controller. You have the right to object, on grounds relating to your particular situation, to any of our particular processing activities where you feel this has a disproportionate impact on your rights. Please note that the above rights are not absolute and we may be entitled to refuse requests where exceptions apply: for example, if we can show our processing is necessary for a lawful purpose set out in this Privacy Notice. The verification, updating or amendment of personal data will take place within 28 days of receipt of your request.